Bruce attended the 49th Presiding Officers and Clerks Conference from 8-13 July 2018 at Parliament House, Wellington, New Zealand. Bruce presented a conference paper “The Council and the Crossbench: Balance of power in the 58th Parliament and the changing face of the Victorian Legislative” which is available to download below. "This debate is really about two perspectives of compassion, caring and love. It is about the right of an individual to make their own decisions and choices. It is a very raw debate. It challenges our belief systems, our guilt, our motivation in insisting on keeping alive a loved one who wishes to end their suffering, our preparedness to let go, our desire to hold on." 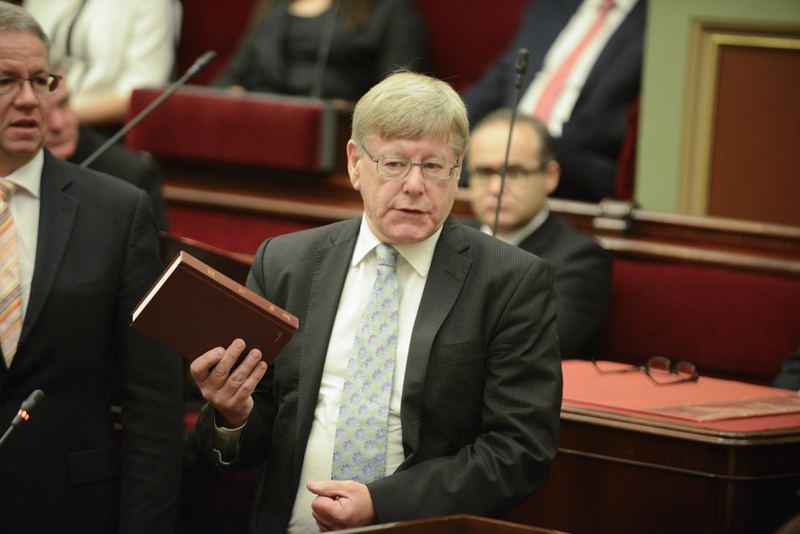 Read Bruce's speech presented to the Legislative Council to learn more about his reasons for supporting the Voluntary Assisted Dying Bill 2017. To learn about Bruce Atkinson's discussion on the role of the Presiding Officer as the House's representative in court proceedings you can read his paper "Presiding Officers and Public Controversies". To learn about Bruce Atkinson's view on the role of Parliament's Audit Comittee you can read his paper "Presiding Officers and Public Controversies". To learn about some of the challenges facing the President and possible areas of reform, you can read Bruce's paper "Procedural reform and challenges for the Chair in the Legislative Council of Victoria"